The children have worked hard this past week getting ready for our play. They have worked on memorizing their lines, figuring out stage measurements, working out stage placement and adding dramatic inflections to their lines. 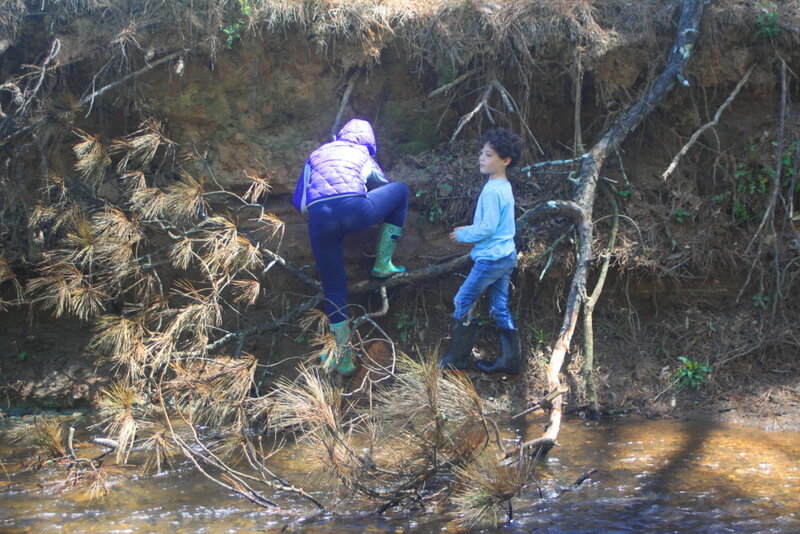 We also have fun exploring at the creek, learning about bees during Nature Exploration where we listened to stories, observed and drew bees, and modeled them with clay. The weather finally remained dry enough for us to complete our mosaics on cinder blocks! 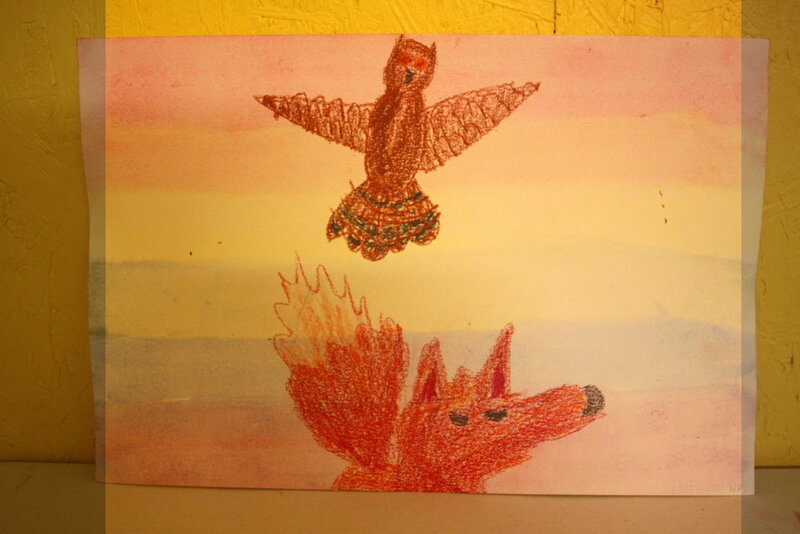 We also had a very fun story-telling session during handwork! Finally, the little herb garden near the stairs to the playground is thriving thanks to the grades students. In addition to herbs we have planted tomatoes and lettuce, and marigolds. 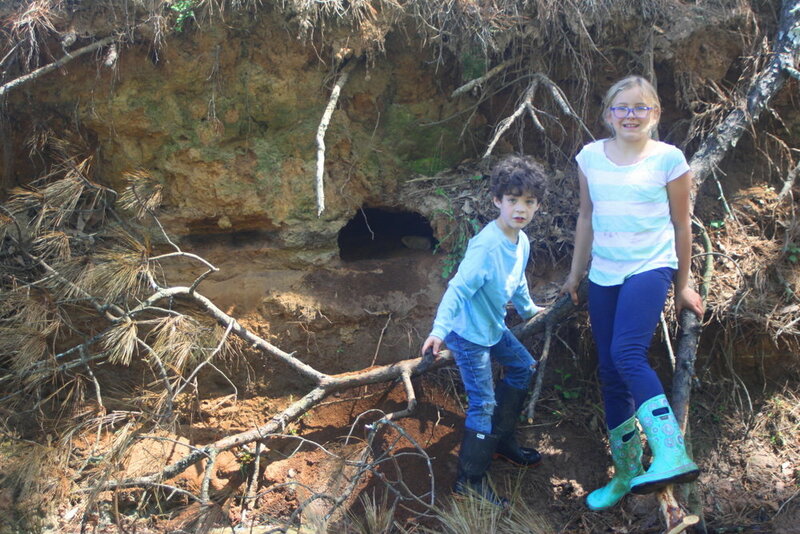 During creekcess on Tuesday, the grades students excavated some blue clay for art projects and created a large burrow in the creek bank for a young male beaver to move into. 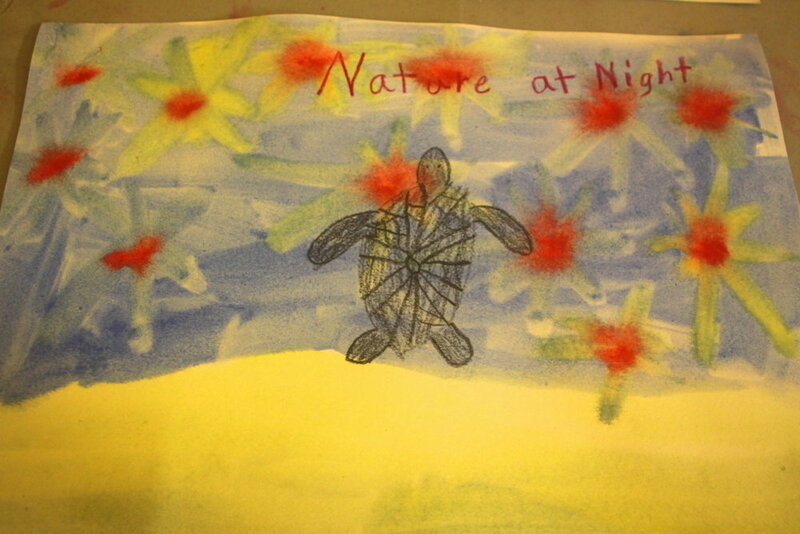 Students' wildlife art posters were displayed in the Nature at Night art exhibit on the basketball court. They will also be displayed at the Environmental Arts Festival this Friday!